That wasn’t an altogether uncommon question among students at the University of North Carolina – Chapel Hill during my nearly four years here when it came time to pick classes each semester. We’d heard of those classes – ones that you were almost guaranteed an A in. Ones in which a lot of athletes were enrolled. Students were known to often ask those within academic advising which ones were those classes. As a senior and longtime campus reporter at this school, I have personally confirmed this with several sources. Indeed, I have walked into a class, and after noticing large groups of athletes, known I had lucked into one of those classes. Basically, what the mainstream media has reported on lately regarding this school’s propensity to put its student-athletes in easy classes, many among the student body knew before the scandal broke. Ongoing scandals have engulfed UNC Chapel Hill over the last two years, accusations that have prompted a criminal investigation and severely tarnished the reputation of the state’s flagship public university. What’s been reported on are the academic standards – or lack thereof – within the University of North Carolina Chapel Hill’s African and Afro-American studies department. How its director, Dr. Julius Nyang’oro, allegedly taught and handed out grades for classes that never met, courses with rosters filled only with student athletes. As reported in 2012, the academic fraud took place in the African and Afro-American studies department from summer 2007 to summer 2011. The department was responsible for 54 no-show and fraudulent classes; 67 percent of the classes were made up of student athletes—most were football players. Classes were either taught “aberrantly” or “irregularly,” the university admitted, following its own investigation in to the matter. The ugly details include unauthorized grade changes, forged faculty signatures on grade rolls, and limited or no class time. As a student at this school I can say several departments also have reputations for their easiness or lack of critical thought demanded by professors. The drama department, for example, is notorious for several professors who simply read off slides. The communications department is also considered an Easy A major. Underscoring all this, two weeks ago came another UNC Chapel Hill bombshell. CNN published an article citing campus learning specialist Mary Willingham, who told the news agency that based on her 8 years of research into the education levels of UNC athletes, 60 percent read between fourth- and eighth-grade levels, and between 8 and 10 percent read below a third-grade level. As news spread across campus, the outrage grew, with many students and professors taking sides. Willingham has faced some death threats as a result of her public comments. On Thursday, UNC announced its research review board suspended her literacy research privileges. The school’s faculty council, provost James W. Dean Jr., told The Associated Press there is “absolutely no basis whatsoever in the dataset to make any claim about the literacy of our student-athletes.” And an analysis released by UNC claims Willingham’s data is flawed. “These guys are not getting the education they deserve, and that’s the bottom line,” she also told the News & Observer. He finishes by mocking the players’ lack of math skills by observing that the NFL and College Football make relatively the same amount in revenue, $8 billion annually, and imagine if college football players understood they received 0 percent of that loot. All kidding aside, the scandals have brought shame and disgrace on a proud and accomplished institution. Willingham did not deserve denials and death threats, she deserved praise for her courage. While students, community members and alumni have reason to be angry, many of them just wish it to go away. However, the investigation must continue, and we must rid ourselves of this rot. 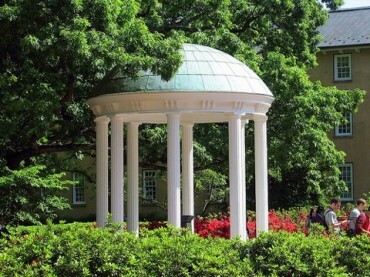 College Fix contributor Ben Smith is a senior at UNC Chapel Hill.